Fans turned out Wednesday evening for the resumption of US singer Ariana Grande world tour in Paris, more than two weeks after it was interrupted by the Manchester suicide bomb attack. Security was extra tight in the French capital, a day after police shot and injured a man who attacked an officer outside the world-famous Notre Dame cathedral. "Merci, Paris. 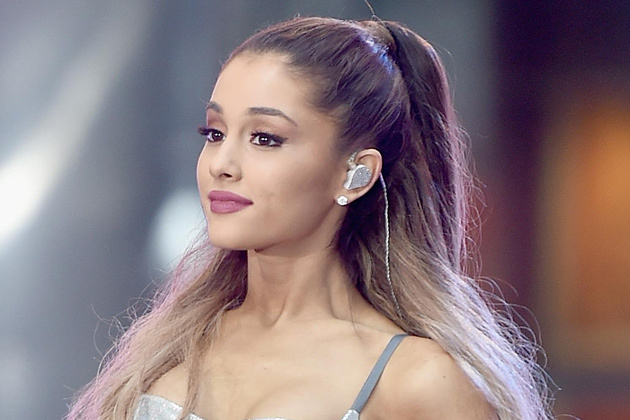 Je t'aime," the Dangerous Woman singer wrote on her Twitter account following the concert. "Grateful to be back". Even before Tuesday's Notre Dame attack, police had announced a significant deployment planned for the US star's show, noting its "powerful symbolic context". Roads were blocked off around the Bercy concert venue in the east of Paris while police helped security guards to check fans as they arrived for the performance, an AFP journalist said. Before the concert a long queue stretched outside the venue with fans waiting for an hour to get inside, where backpacks were banned. "It's better to come, it shows we're not afraid," 24-year-old Alizee Cano told AFP. Geoffrey Barlerin, a 23-year-old student, added: "We wanted to see her. We can't stop living because of the attacks." "You can see police everywhere, it looks pretty safe," added Oceane, a 14-year-old out with her cousin, who said they hesitated but decided to come after seeing how security has been beefed up. The road in front of the concert hall remained closed when the performance ended at around 11pm (2100 GMT). On May 22 a suicide bomber killed 22 people including 7 children at a concert by Grande in Manchester. She cancelled shows she was due to give in London, Belgium, Germany, Poland and Switzerland, and returned to Florida, before coming back to Manchester on Sunday to headline an all-star benefit show for victims of the attack.